Let Us Help You Get Out of Pain… Fast! If you’re experiencing severe mouth pain and/or have badly injured one or more teeth, the 21st Century Dental team will see you right away. After all, the last thing you need in a dire situation like this is to be told that your dentist can’t fit you in for another week! Here in Las Colinas, our office environment is ideal for emergency cases – comfortable, attentive, and free of any unfair judgment. We simply want to help you regain a healthy, pain-free smile in record time. You don’t have to wait – contact us today! 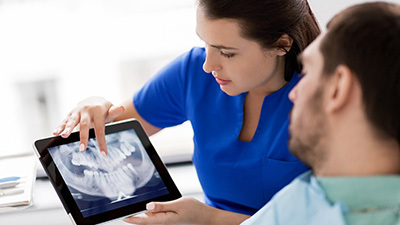 Why Choose 21st Century Dental for Dental Emergencies? So what exactly counts as a dental emergency? Many patients aren’t sure when they call our practice. Below, we’ve compiled a list of the most common emergency situations that our team handles. If you fit into any of these categories, don’t wait to schedule an emergency appointment. Your smile needs help now. Dislodged tooth. This emergency may happen on a partial basis (where the tooth feels loose or out of place in the mouth) or as a full knock-out. If it’s the latter, do your best not to lose the tooth, as reattachment may be possible. Cracked, chipped, or fractured tooth. 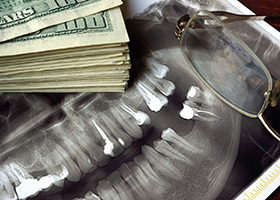 The loss of a temporary or permanent dental restoration, such as a crown, bridge, or filling. 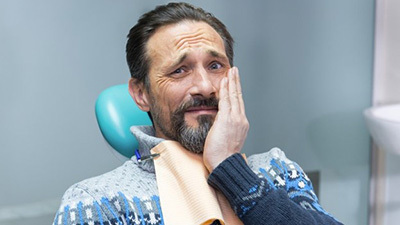 Serious tooth pain, which usually indicates an oral infection that will require root canal therapy to correct. Does your tooth really, REALLY hurt? 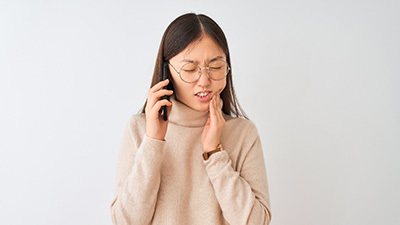 Try rinsing your mouth with warm water and using floss around the affected tooth, just to make sure there isn’t something stuck there that’s causing the pain. You can take aspirin or a different painkiller, but NEVER place it against the gum tissue near the tooth. It could cause burning. Have you broken your tooth? Save any big pieces that have come loose. If you’re bleeding, get a piece of gauze and apply pressure to the area until it stops. Facial swelling may happen, but using a cold compress can help keep it to a minimum. Have you knocked out your tooth? If you still have the tooth, try to put it back in its original socket and hold it there. If this isn’t possible, put it in a cup of milk or water with table salt. Keep the time in mind – your best chances for reattachment are if you’re able to get to our dental practice within one hour of the initial injury. Are you experiencing heavy, sustained bleeding? Could your jaw be broken? These are severe, life-threatening situations that need to be addressed by medical doctors. Go to your nearest emergency room or call 911 if you can’t transport yourself. We understand that dental emergencies can be a very frightening experience – that’s precisely why our team devotes plenty of time to these patients in order to help them feel genuinely safe and at ease in our Las Colinas practice. 21st Century Dental features a comprehensive variety of advanced restorative services, an exceptionally knowledgeable team of dentists and staff, the latest in oral healthcare technology, and next-level amenities that will all be available to you during your urgent appointment. Rest assured that you will be in very good hands throughout the recovery process.